How I protect my privacy without realizing it. Privacy in the digital era is a crucial issue. I won’t explain here why privacy matters but you can watch this great Ted talk by Gleen Greenwald, one of the journalist behind the Snowden’s disclosures. I just want to prove that you can easily protect your privacy for free without compromising your experience as a user. I chat on Telegram Messenger. I use Telegram Messenger for instant messaging. 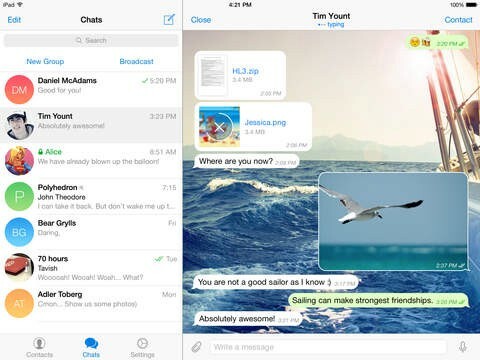 It is basically a free and secure Whatsapp with a better design. Your messages, photos or videos are encrypted and you can even create a secret chat with end-to-end encryption. I have used it with all my friends for a year and we really enjoy it. The feature we like the most is that you can chat on your mobile device as well as on the desktop app. Thanks to this easy-to-use and secure solution, users send nearly 12 billion messages daily on Telegram Messenger. The desktop app is available on Mac OS, Windows and Linux. I send emails on Protonmail. Protonmail is a heavily encrypted and open-source email service. I have used it for a year and the service is really convenient. You don’t have to deal with ugly and hard to use PGP to secure your emails. It is as simple as Gmail. I really appreciate that companies, black hats or governments cannot access my personal life. Available on the web, there is a mobile app in beta. Infinit.io allows you to send files easily just by doing a drop and drag on the desktop app. It is way faster than Google drive or Dropbox and there are no size or format limits. Oh, and everything is encrypted. 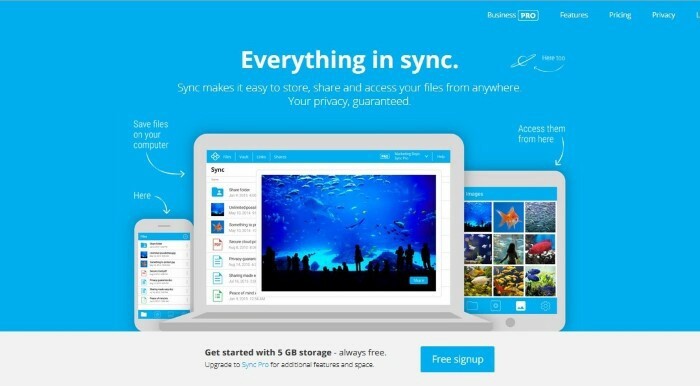 Sync.com is a secure dropbox. You can access your files from anywhere on your desktop or on your mobile app. Today everything is stored in the cloud so you better have a secured one. There are other secure apps but most of them are ugly and hard to use. I protect my privacy without even realizing it. The user experience is sometimes even better. Secure and user-friendly solution exist. If we adopt them, big companies will have an economic incentive to build product with privacy by design — otherwise they will go bankrupt. You can choose the future of the internet. Have you made your choice ? Share this article to shatter the myths!